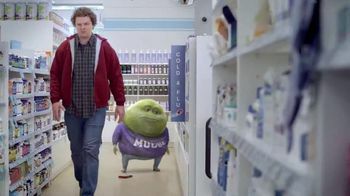 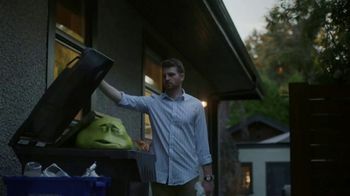 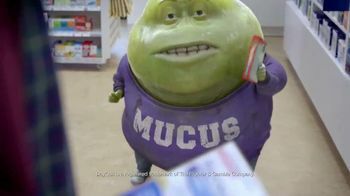 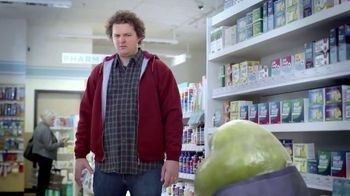 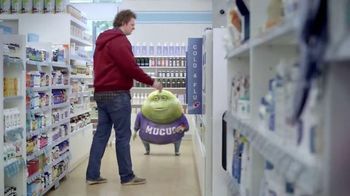 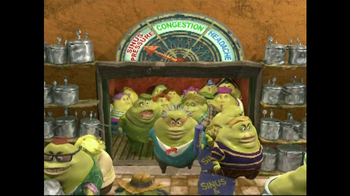 Comedian T. J. Miller lends his voice as Mr. Mucinex Mucus, the blob of mucus who walks down the aisle in a drugstore. 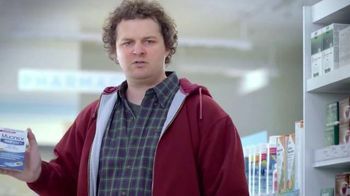 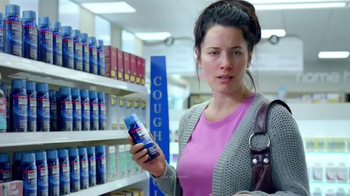 He meets a man standing in the cold medication aisle and suggests just grabbing DayQuil and going. 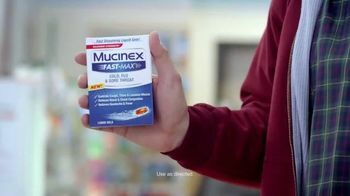 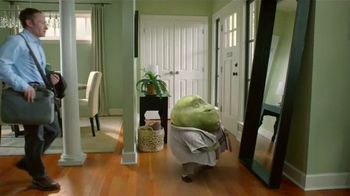 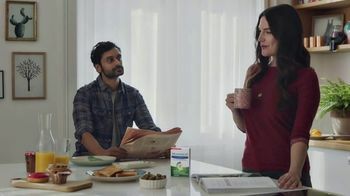 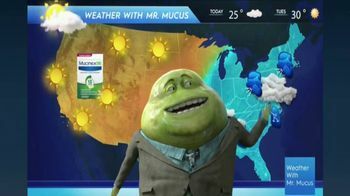 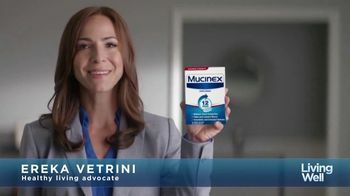 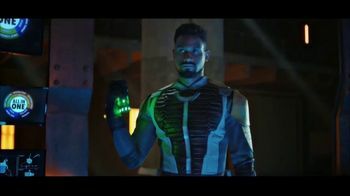 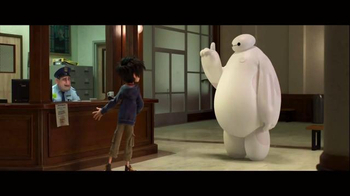 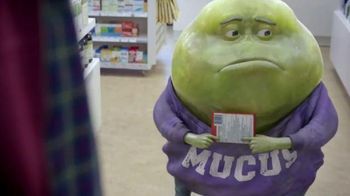 But the man says that Mucinex Fast-Max are multi-symptom medications that helps fight mucus so they do more for his cold than what Mr. Mucinex has. 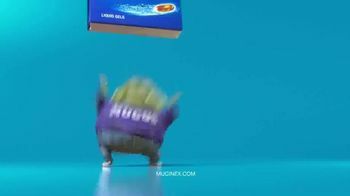 He can't find a good comeback so he just throws the box at him and says "think fast!"